The way we operate our mailings changed when the new data protection regulations came into force in May 2018. This means that some of you may not be getting the communications you want from us. We operate two sorts of list. a) Specific lists, eg one for all delegates attending the 2018 event, through which we could share event information. b) A general news one (we call it our ‘big list’) for a wider range of information. That will have all the gen about 2020 on it. Just because you’re on a specific delegate list doesn’t mean you’re on the general one (we won’t transfer the data across as we feel that’s not proper data control). Also, just because you got mailings from the big list in the past, you won’t in future unless you have opted to do so (as we encouraged you to do back in May). 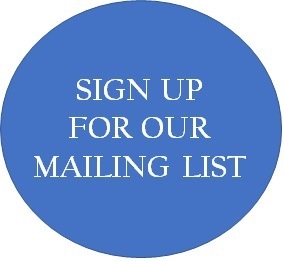 Go to any page of our website and click the mailing list sign up button. Follow the process and remember you must opt in for e-mails. If you’re already signed up, it will tell you either at the sign up page or at one of the following ones. Choose the ‘update your preferences’ option then follow the process, again, opting for e-mails. I went back to the May email and followed the link in that to get to a Preference Page and that let me opt for emails – so maybe I’ve fixed it.